McDonald’s knows that cooking dinner is probably the last thing fans around the world are thinking of while tuning in to the World Cup. That’s the theme of a new campaign from Leo Burnett London, launched yesterday to coincide with the first day of the tournament. 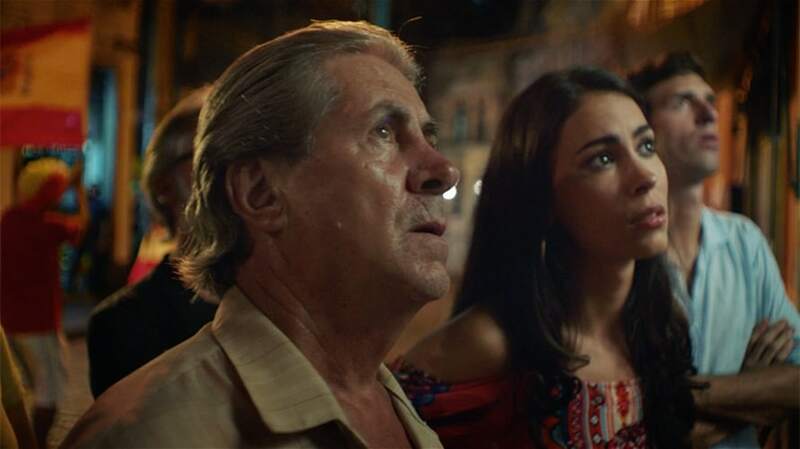 A 60-second anthem ad follows the stories of fanatical fans around the globe, from a woman flying a Brazilian flag on an apartment balcony, to two men listening on a car radio, to all manner of fans decked out in crazy costumes and face paint. Even a baby is in on the fanatical World Cup fandom! Over the course of the ad, fans of the game from around the world turn to the golden arches to provide meals while they’re glued to their TVs, radios and computer screens. The spot manages to showcase a variety of scenarios in which groups of fans rely on McDonald’s during the World Cup, from the good old drive through to delivery. It concludes with various takes on the tagline “We’re with you” illustrating all the ways fans can turn to the brand for a quick bite during the tournament. Along the way, the spot provides a fun look at how fans around the world come together to celebrate their teams’ victories and commiserate their losses, illustrating the international flair and displays of fanaticism that make the event so popular while highlighting McDonald’s key selling point as a convenient food option that’s always available. In addition to the 60-second anthem ad, and a 40-second version, the campaign also includes a series of 7, 9 and 10-second spots focusing specifically on the chain’s delivery, drive-through and breakfast offerings, as well as print, OOH and point-of-purchase elements.